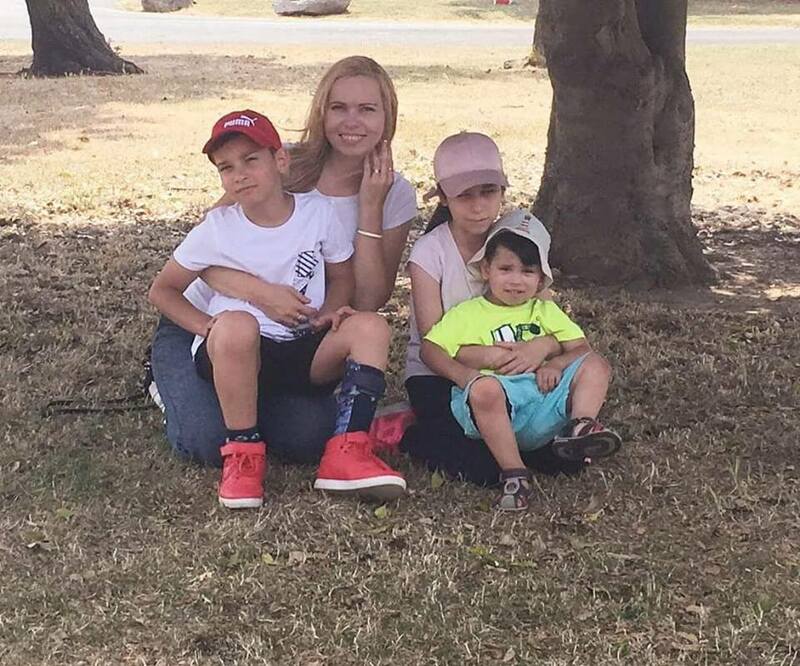 Daniela is a mother of three children. Her oldest, seven-year-old son has cerebral palsy and cannot entirely control the left side of his body. 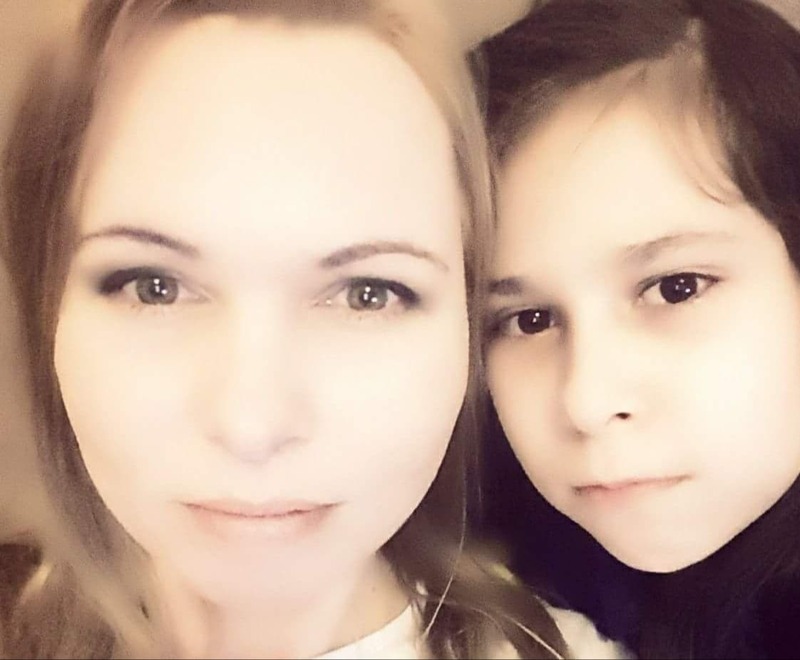 Her daughter is nine and has selective mutism. When her brother was in the intensive care unit, she was only two and did not understand what was going on and stopped talking. She started to worry she would get ill, that someone would hurt her, and that she would end up in the hospital on the tubes like her brother. The youngest son is two and a half years old. From all the siblings he was blessed with good health. When Daniela fell pregnant with her fourth child, she was very happy and looked forward to meeting her baby. However, life is not always fair. Daniela’s baby was born dead. Surely the worst nightmare a mother can imagine. Nevertheless, it is not where her story ends. The circumstances surrounding how she lost her baby girl, the massive failures of the NHS system and her touching message to mothers will definitely move every fiber in your body. This was your fourth pregnancy. Can you describe how it went? Were there any signs something was not right? I was bleeding from the sixth week so I spent a lot of time in the hospital. However, the doctors’ attitude took me by surprise, as they did not seem to be really bothered as to what was going on with me. When I went to the GP he said it might be a miscarriage and that was it. Due to the recurrent bleeding, I kept going to the hospital quite often. The doctors who came to see me were totally unprepared and without any paperwork. Nothing I had said was written down. They always said there was nothing they could do at such an early stage and discharged me with the words that if I would experience any pain or bleeding I should come back. I thought ‘But I am bleeding now and I am here’. I had the impression they were not really bothered. I felt like I was going there for nothing. I assume that with the bleeding you must have eventually gotten to a critical point that could no longer be ignored, right? Yes, at the 18th week it became really critical as my life was in danger. Doctors said they would be saving me and not the baby as – according to the NHS – a baby younger than 24 weeks is still an embryo that is not developed enough to survive. The problem was that I had placenta accreta and that it was low-lying. They said that if the pregnancy was to continue, the c-section would be difficult as they would need to take out my womb. That scared me. The 18th week was basically about the fact that the baby won’t survive and that it was only about me. It took me a while to make peace with it and focus on myself alone. Did the doctors and midwifes take your case more seriously from this point onwards? Yes and no. Of course, I met some amazing doctors and midwives during the pregnancy, but what took me by surprise was how I was generally treated due to the fact I was under 24 weeks at the time. As if it was a milestone when a woman starts to get a real attention. I remember being in the hospital bleeding during the 22nd week and no one really cared about me. They let me wait for ages, no one was talking to me, no one seemed to be bothered with a woman who is “only” 22 weeks far along. When a midwife checked baby’s heartbeat, later on, she heard something was not quite right but she did not do anything about it. That is when I started to have contractions. I felt sick and I was in pain. The midwife called a doctor twice, but he never showed up because he was busy. I spent the night on paracetamols. Funnily enough, I was discharged the next morning with no examination provided. The only information they had was what I had told them. It was a horrible feeling of not being in the right hands. When I left, I could not even walk out of pain. Soon my painful contractions became only two minutes far apart, but I was afraid to go back as I had just been discharged. It was always the same story. However, the following morning I felt the labor had started, so we called an ambulance. I know that your birth was one of the most traumatic moments you have ever been through. Can you please describe what exactly happened? It was awful from the very first moment. The journey to the hospital was horrible and unnatural as the birth had already started and I had to focus on keeping the baby inside. After we arrived, I had to wait in the waiting room for about 10 minutes. Afterward, I was placed on the hospital bed. The doctor put a towel over me and told me not to move, as she wanted to provide a scan. I tried to explain to her I was after three c-sections, that I bled, that I had contractions, that I felt the baby was coming out. The labor started but she was not able to recognise it. Soon after Miray came out of me. It was an incredible pain, I felt like everything was ripping inside of me. The baby came out while I was screaming. I was not even sure if I was supposed to push or keep her inside, as the doctor was not able to tell me what to do. When everything was over, she stood above me with the cold expression and told me not to move. She did not get what had happened and just wanted to provide a scan. I told her it was too late, that baby was out, but she insisted it was just a blood. I used my last bit of strength to lean up and pull the towel off me for her to believe me. However, she only started to yell at me almost hysterically, “Don’t show yourself, you want everybody to see you?”. Even though the room was empty. No help, no talk, nothing. She was the coldest and most aggressive woman I have ever met. However, my daughter just died so I had no energy left to deal with her at the time. Soon after the room was full of people and she started to pull the placenta out of me. I was still in a horrible pain, but all she was saying was ‚don’t move!‘ and began to get angry that placenta is accreta and she was not able to get it out. I tried really hard to be still, but the pain was killing me and made me tremble. I don’t remember how exactly it happened, I just remember she eventually hit me hard with two fingers in my chest. It literally threw me back when she did. It was incredibly painful. I know I collapsed and kept losing conscious out of the pain. It literally felt like a nightmare. Did you have anyone around to help you? 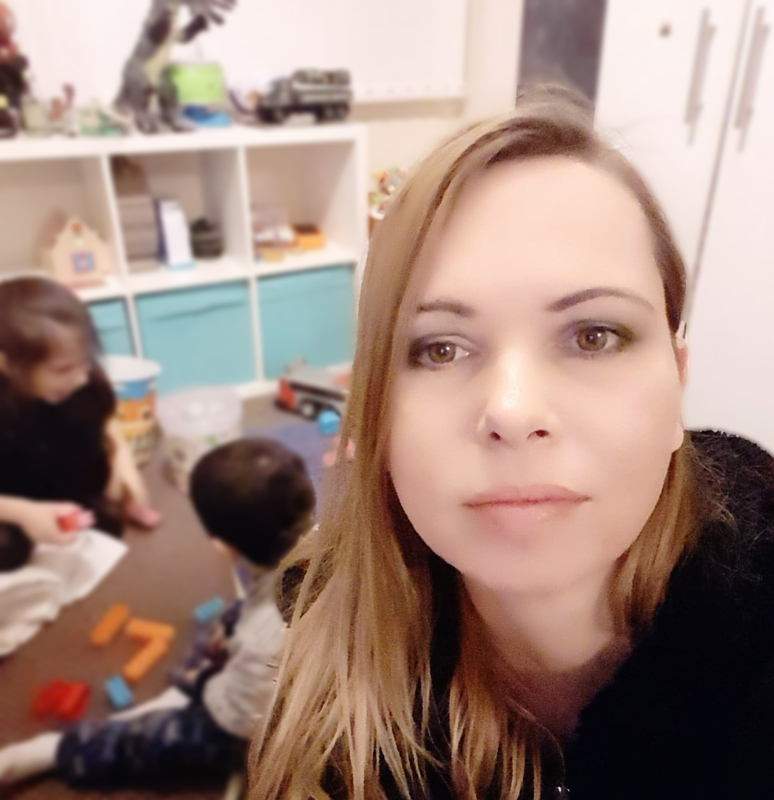 I did not as my husband had to stay at home with the kids and I do not have any other family in the UK. A lot of people from the hospital team said they were sorry for my loss. One midwife even gave me a hug, which was like a balm for my soul. That is exactly what I needed. I believe that a mother who loses her child during the birth gets to decide whether she wants to see her baby or not. This must have been unbelievably hard, but did you want to see her afterward? Yes. Soon after the birth I was moved to a beautiful private room and seen by a comfort midwife who asked me whether I wanted to see my baby and I said yes. She brought Miray over, took her out of the towel and started to put her in a big, pink knitted sweater. The way she maneuvered with her was awful. It felt really weird watching her. I know the baby was dead, but when she dropped her head for instance, my maternal instinct was saying ‘hold her head!’. The midwife came back again in about two hours with the pads and asked me coldly if I was still crying. I mean, what did she expect me to say to that…? After she left I did not see anyone until the morning. I spent all night crying and looking at my baby getting blue and cold. Early in the morning, her nose started to bleed. Of course, it was only the organs, but to me, it was a sign she was still there, she reminded herself to me. Do you believe it was a good decision for you to see her? I kept thinking about it during that night. I was not sure then and I am still not sure today whether it was good or not. Given the state I was in, I am not sure I was able to make the right decision. However, it is one thing to see her and another thing to be left with her alone all night. That was not the decision I made. This is a tough one, but can you please reveal what is happening in the head of a mother who is looking at her dead newborn baby? A huge chaos. But in a way, I was also happy to see her. Hormones that are released when your baby comes out of you did their work as well… It felt like I was not all alone, that my arms were not completely empty. That is why I think it was a good thing for me to see her, though I am not 100% sure. When did you get to see your husband? That’s another unbelievable story. After Miray died, I asked whether I could see my husband. A midwife who was currently on a duty told me it was not possible as he was with the children at the time who apparently were not allowed in the hospital. I did understand it, but I needed him badly after everything that had happened. Funnily enough, as it had turned out the following morning, he was allowed in the hospital after all. I was simply given the wrong information previously. I was really angry thinking how incredibly lonely I felt that night and my family could have been with me all along. Seeing them would have given me the energy and strength I had needed. Anyway, after they arrived, my husband held and kissed her, but he did not cope very well. Until today he is not happy to talk about her and remind himself of her in any way. As for our children, we asked a midwife whether it was a good idea for them to see her. She did recommend it due to the fact they went through the pregnancy with me and even if they would cry, at least they could cope, have a closure and avoid any possible question marks in the future. How did they react when they saw her? Each of them reacted in a different way. My youngest son did not really understand the situation yet. My daughter was happy that I was alive. When the ambulance was taking me away, I looked really horrible and she was afraid I would die. The baby was a kind of a burden to her as she saw how much pain I went through because of her. The oldest son cried a lot as he was looking forward to having another baby sister. How did you feel during the first days after you got home? The first few days I spent crying. And what really resonated in me was the anger for the doctor as the non-receding pain in my chest kept reminding me of her. I even suspected to have a broken bone. It worried me, as I wanted to mourn. I wanted to deal with the sadness. A midwife kept checking on me regularly over the phone. She always asked about my physical state but had never cared about my mental state. I had no one I could talk to. No, I did not. Since that incident, I have not been able to see doctors. I still cannot overcome the idea of seeing a GP or get referred to a specialist. It makes me scared of what happened to me, of my memories and feelings, of what Miray and myself went through and how it ended. Did you ever find out what exactly happened to the little one and why she died? I got an appointment where I learned what and why did it happen only two months after she died. I mean, waiting for two months to get answers to the questions that haunt you all the time… It drives you crazy, indeed. However, in my case, there were a few warning signals during the pregnancy so in a way I was internally healed when it happened. But there are women who go through it without any previous signals. If it happens to a mother who had been having problems getting pregnant etc. and does not know for two months what and why it had happened, it must be hell. As for the cause of the death, apparently, there was some infection that caused it. A midwife told me she was already dead when she was born, but as I found out later, they cannot be 100% sure about it. I believe that even if she was dead, it could not be for long as one day prior to the labor her heartbeat was still present. It was present even shortly before the ambulance picked me up when I checked it with fetal doppler. It was weaker, but it was there. Also, the movements started to get weaker last days, which I mentioned when I was last discharged but no one seemed to care. That is why I believe that she was dying gradually and slowly. She probably died shortly before or during the labor. It has been five months since. How do you feel about the whole situation today? Well, the biggest difference is that I don’t cry as often as I used to. At the beginning, I cried basically constantly. I also could not even look at other babies. However, a month ago, around her due date, I was excited and could not stop looking at every baby girl I had seen. I was imagining how she would look like. Hormones also change gradually, they get released over time. So I can say it is settling. Although I have three children. Going through it as a first-time mum I would have probably gone insane. Sadly, there are a lot of mothers out there who went through a similar thing and cannot find the strength to cope. Is there anything you would like to tell to them? What is it perhaps that helped you the most? Every woman and every pregnancy is different so I think there is no universal advice on this. Every woman needs something else. It also depends on whether she experiences any complications or not. However, what really helped me to cope was a friend of mine telling to me: ‘don’t worry, she will find her way to you eventually’. This statement worked really magically and I believe it is so. Nevertheless, most of the people did not know what to say. They were even afraid to ask such a basic question like ‘how are you’. Which is a shame, as I wanted someone to talk to about it. She was here and she still is for me. We fought together and I feel proud of her. I don’t want for her to come out of this forgotten. What in your opinion is the biggest issue the NHS should fix in order to prevent similar things to happen in the future? I think it is a prevention, an early check. Women have their first scan on the 12th week. Up until then they are in tension and don’t know what is going on. Women need to feel safe and secure, they need to feel their baby is ok. But they live in doubt. When they are in pain, they don’t know what to do. I believe that a lot of problems can be caught especially during the first three months. Both, physical and mental. There should also be more checks throughout the pregnancy. It is true they take a mum’s blood sample but they do not know what is going on inside, whether the cervix is ok, etc. They basically leave it to nature during the first three months. They take it that you will either miscarriage or not. There is no support. Of course, there are a lot of women who get through the whole pregnancy without any problem, but there are also women who don’t. A lot of mums, myself included, struggle with daily parenting problems like their children screaming a lot, not listening to them, etc. I am sure that a mother who went through something like you did, sees these ‘casual problems’ from a different perspective. What would you advice to all of us – mothers who are stuck in the madness of motherhood and struggle with problems it brings on a daily basis? I often see mothers on the internet complaining about common problems that motherhood brings. They are tired, feel like a failure, things do not go the way they want… Often they don’t look for an advice (I believe mums, in general, don’t like advice), they just need to talk to someone, they need a support, they need to feel they are not alone. I understand that. But when our children are very ill for instance, when we see them hopeless lying in the bed with a high fever, we wish for them to run around the house and make a mess. Let’s take mothers of children with some disability. They would give anything for the daily problems that mothers of healthy children go through. Or women who have been trying to conceive for years but the baby is not coming…. I am a member of a few support groups for parents of children with special needs and you can see what a difference it is between the concerns and problems of mothers of healthy children and mothers of ill, disabled children. But for instance, my oldest son apart from physical problems also has some mental health problems and he often does not think about what he’s going to say which often places us in uncomfortable situations. But on the other hand, there is a mum of an autistic child, who would give anything for her child to speak and voice at least their basic needs. They would love to know what her child thinks, they would love to recognise when he is thirsty, or when he is in pain… Another interesting thing is that I have never come across a hate, jealousy, insults or arrogance in any of these kinds of groups. It is obvious how much these children gave to them (to us), what wonderful values they taught us. There are also a lot of mums who have lost their baby. All these are sad stories and it is hard to connect with them after a sleepless night when our healthy child goes through teething or frequent tantrums. However, as a mother of a child with Cerebral Palsy, I say take a deep breath and know we are lucky to have them. I spent years asking myself why my child was premature, why did he have meningitis that damaged his brain when he was only three months old, why did all the suffering impact his younger sister who was only two at the time and did not understand why her parents were crying. Why instead of going to the playground we go to see her brother to the hospital who only lies there with a lot of tubes in him. She did not understand and neither did I why I constantly had to fear whether my son would survive. ‘Why him and why us’ I kept asking for years and never found an answer. 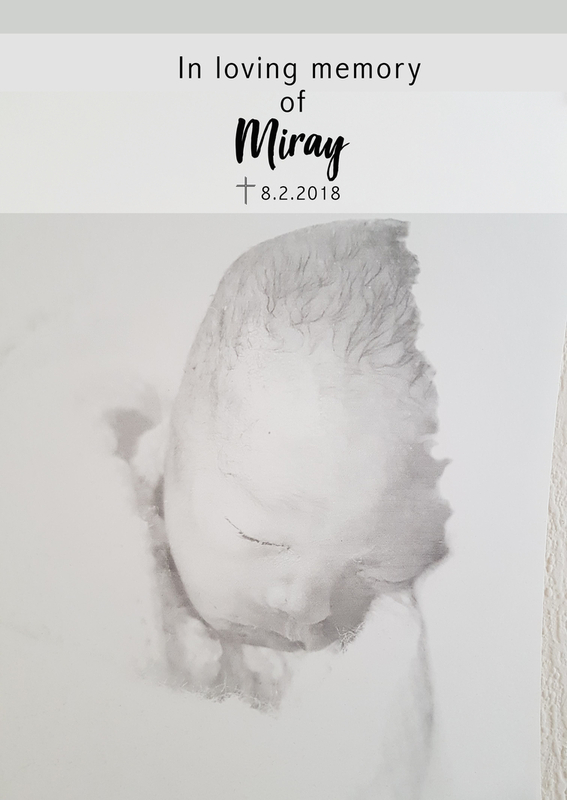 Since the pregnancy with him and Miray were very similar, I realised there was no point to look for a meaning and answers to the questions about what had happened to my oldest son. Important thing is that he’s here with us, that I see him growing, smiling, that he says he loves me and I can hug him a love him too. We did not have this luck with Miray. The experience with her helped me to realise how lucky we are to have our children. Of course, every mum is happy to have their children, but they often give us such a hard time that we cannot always show it. We are lucky to have them. It is a cliche. If I did not go through what I did, I would have said it’s just words. But today I know they really have their meaning.